Home / Blog / Online Marketing / 6 eCommerce Email Marketing Best Practices You Need to Implement Today! It is an effective way to keep the customer informed about their purchases etc. It is one of the least expensive tools in the market today. Marking out events and milestones like festivals can help create a level of appreciation among customers. You can promote your products through these emails and offer discounts and promotional offers to attract customers. In the same way, sending personalized birthday or anniversary mails is an effective way to tell customers that you care for them. It can also turn out to be an advantageous eCommerce marketing plan. As per a few reports, birthday emails have more than 179% higher unique click rates and 342% higher revenue per email. They also have 481% higher transaction rates. It’s important to notice that along with wishes, you send some personalized offers to the customers for better conversion rate. When someone buys a product from your eCommerce store, what’s essential for you is to educate those customers more about the product they purchased. Email marketing should not be only used for cross-selling of the products. Of course, that’s an excellent way to generate sales, but building customer relationship should also be a part of your marketing strategy. 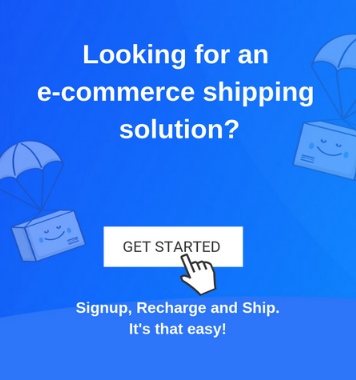 There could be instances when your buyers are looking for some products that are out of stock at that particular period. The reminder emails would be an exciting way to let your users know about those products as soon as they are back in the stock. Personalization is the key to mastering the art of eCommerce in today’s world. And if you’re not implementing it yet, you’re probably losing a significant opportunity to catch your customer’s attention through emails. But since it is impossible to personalize every single email that you send, you can use automation to the rescue. Did you know that the 80 per cent revenue of your business comes from the top 20% of customers? These are your loyal customers, and you must keep them engaged no matter what. And email marketing can be one of the best practices to do so. You can create a customer loyalty program through emails that will encourage purchases from your existing customers and increase customer loyalty. 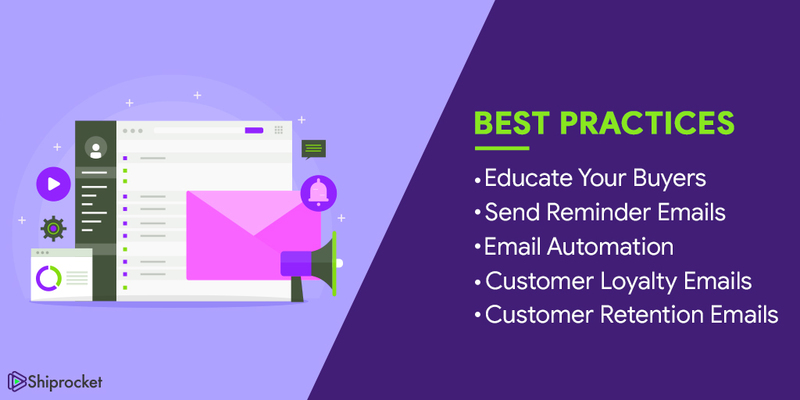 Tip: Send a series of easy emails to your customers that guides them to take action and realize the importance of being a valued customer for your brand. There’s no point acquiring new customers if you can’t retain them. Statistics suggest that only 32 per cent of the customers are likely to place a second order from one year of their purchase at your store. This means that if you don’t have a customer retention strategy, you’re losing out on a significant chunk of customers. Tip: Try to win back your customers, send emotionally charged emails with strong subject lines. Email marketing is one of the old school tools that never turn out of date. No matter what you’re selling, an email will only make your marketing strategy firmer. 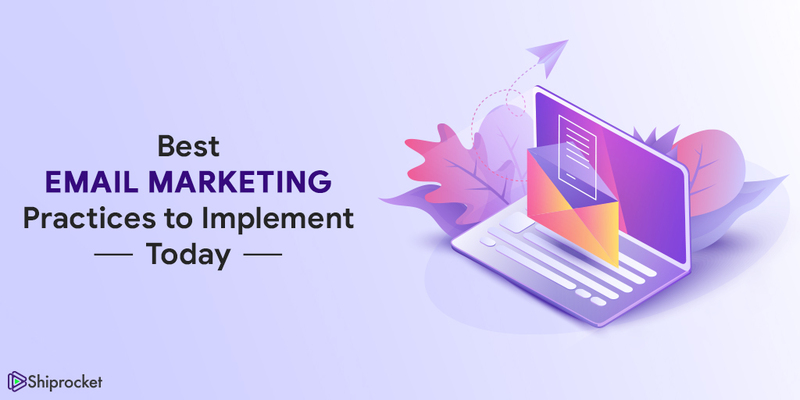 Since the key to a successful business strategy lies not only in increasing sales but also in maintaining a healthy relationship with the customers, make sure you implement the best practices of email marketing to derive both these results.